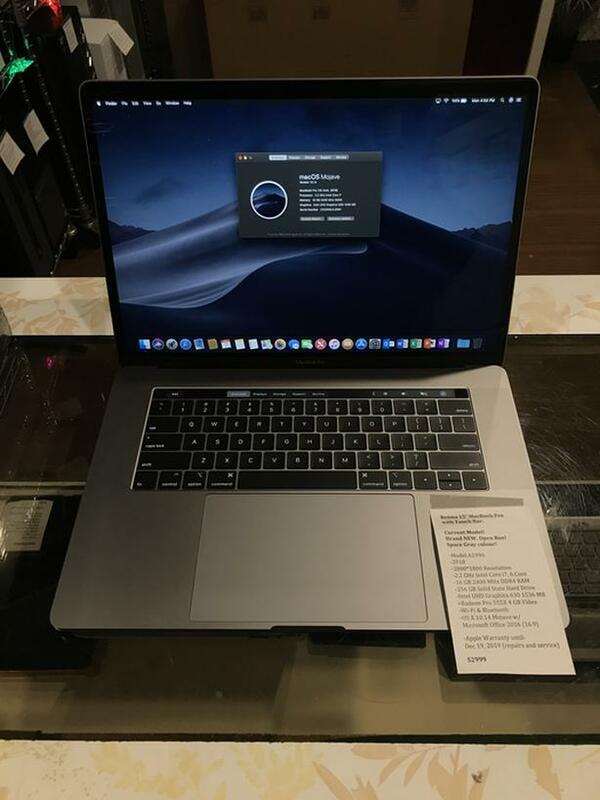  Log In needed $2,899 · BNOB Retina 15" MacBook Pro 2.2GHz i7 6Core 16GB RAM 256GB SSD w/ Warranty! We have a BRAND NEW OPEN BOX Retina 15" MacBook Pro. This is the current model of the MacBook Pro Retina line! It's their Space Gray model, with touch bar and a 4 GB video card! This also has Apple Care warranty until Dec 2019! Apple Care warranty until December 19, 2019 (repairs and service)!